Okay. I guess we are starting to see a bit of the romance part of this drama now, but I have a feeling it’s pretty much going to be on the backburner as the drama surrounding Rei and her struggle to be included on her family register is really the forefront of this drama. A lot of my suspicions are slowly being confirmed. The one behind Kurano’s prostitution is the middle aged man who he had to bow down to for help with his apartment, internet, etc. Just who this man is, I don’t know. Also, I really, really think that when Yoko went to get Ayukawa to sign the paper 20 years ago and he beat and raped her, that’s when Rei was conceived. Truthfully, the hints are all there. 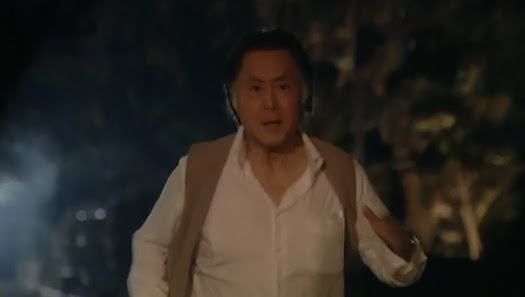 Ayukawa refers to something “important” to him that he cannot possibly give up and I don’t think its just a reference to Yoko. Plus, the previews have them talking about the secret of Rei’s birth, and let’s not forget in this episode with Yoko screaming at her ex that she won’t let him take Rei away. Rei and her mother deliver more documents and are ready to get the process started. Both mother and daughter are happy that this nightmare might finally be coming to an end. Yoko goes off to her night shift while Rei stays behind with Kiyama and thanks him for all of his help. She then asks what he would like as a reward. Kiyama, of course, wants nothing, but Rei insists on him naming a sweet he enjoys. He says coffee jellies at first, but then says he used to love eating tiramasu back in his college days (Rei states that she probably wasn’t born yet, nope, probably not). It’s amazing how far Kiyama has come since meeting Rei and becoming involved with her problem. It’s because of this girl who’s young enough to be his daughter, but he’s finally breaking out of his reserved shell. Plus, he’s helping Rei grow up a little. Sure, she’s mature for her age, but she is still very young and can be childish and unreasonable about some things. Granted, with what she’s going through, it’s to be expected. Rei tells Abekawa that the paperwork for the register is almost complete. This makes Abekawa happy as that means Rei can be a full-time employee soon. Rei then broaches the study abroad problem and Abekawa tells her not to worry as the company will contact her about that. Rei then goes out to work and her coworkers congratulate her. Jun tells her that he revealed the good news for her. Rei is touched by their good wishes. Even more touching is Igawa’s heartfelt congratulations. Looks like things are back in order after trying Rei’s pie and realizing her potential. Meanwhile Shusaku is researching family register issues when Grandma Tanizaki calls to let him know that Yoko is officially back. Ayukawa then seeks out Charlotte and Rei. He feigns surprise and then asks if she’s okay after her fall. Rei assures him that both she and her textbook are fine. She then points out her apple pie. Ayukawa says he loves apple pie and gets two pieces. As Rei serves him, he leans in and calls her by her full name. This throws Rei (plus its just plain creepy really). After he leaves, she looks at her nametag, but doesn’t seem 100% certain that is where he got her name from. Meanwhile, Kiyama eats breakfast while Takaoka asks him how Rei’s problem is coming. Kiyama says that it’s almost over with and Takaoka then says that it will be sad for Kiyama when its all done as he won’t be able to see such a cute girl anymore. He’s really changed since dealing with Rei. Yeah…SO not getting a good vibe from this conversation. Oh and in between the emails, we had a scene with the Tanizaki’s celebrating Rei’s going forward with the family register. Mao wonders what her big sister will do once she is officially on the register. Rei says first she’ll become a full-time employee and then she will get a passport in case she can study abroad in Paris. After dinner, Tanizaki goes to Yoko and asks her to make certain the girls never have to go through such a sad and hurtful experience again. You know that is basically Mrs. Tanizaki letting Yoko know that she has failed a little as a mother who should be protecting her children. Yoko does promise, though. The next day at Charlotte, Abekawa asks for ideas for the new season. Jun’s tropical fruit tarte is turned down as this season’s feature was a tarte. Igawa’s idea for a dessert using tomatoes is chosen as is Rei’s idea of tiramisu [thanks to Kiyama’s suggestion earlier]. Rei thanks Igawa for sticking up for the idea and Igawa replies she wasn’t helping Rei, she just wants a fair competition. LOL. That’s Igawa for you. Meanwhile, Ayukawa meets with Shusuku who tells him to stay away from Yoko as Natsume has never forgiven Ayukawa for what he did. 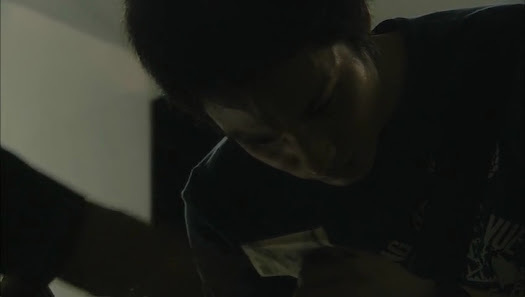 Ayukawa tells him not to worry and even turns down Natsume’s money. Wow. He has something important to him now that he can’t let go of. Uh-oh. Natsume does have a right to be worried. Natsume should also know that if Ayukawa discovers Yoko and her daughters, its partially his fault for leading Ayukawa partially to them. Ayukawa leaves the café and goes and stares out over the city. He takes out a blown glass apple charm. You know that’s a connection to Yoko as Yoko loves apples which is why Rei loves apples. 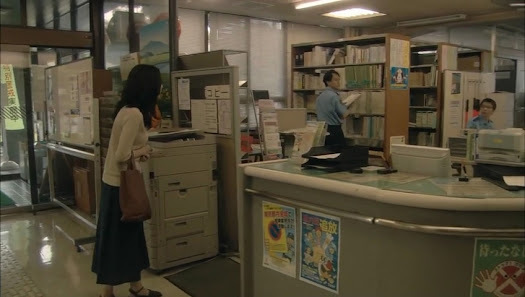 Rei meets up with Kusano at the station and they head to the meeting together. 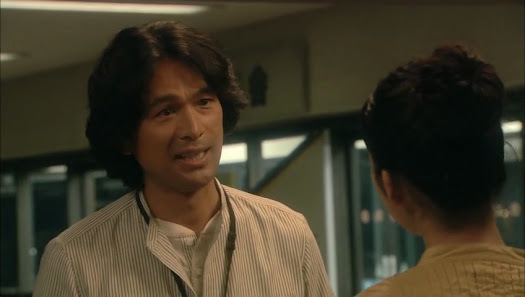 Meanwhile, Yoko goes to the ward office to figure out if there isn’t some way to keep Rei off of Ayukawa’s family register as she fears being on it, even if only for a brief time, will become another wound to Rei. Unfortunately, the only way to do so is to take the matter to court and have a trial. She is warned by Kiyama’s supervisor that those trials rarely ever get ruled in the favor of skipping the registering on the first husband’s family register. Yoko leaves and we cut to the meeting where people tell their stories. They are all sad and they give Rei a lot to think about. She is somewhat apologetic as she hasn’t suffered nearly as much as the others have, plus she is getting a family register soon. They tell her not to be sorry about such things. Hearing one girl’s story about her trial to be kept off of her mother’s ex-husband’s register, really hits home for Rei. Kusano apologizes saying that Rei probably didn’t get much from the meeting. Rei tells him that isn’t the case. She was happy to have met more people like her and hear their stories. She realizes just how fortunate she really is. Kusano smiles [his genuine, rare smile] and says that Rei is best just the way he is. The two then part ways for the night. I think that Kusano just might be falling for Rei. If that does happen, I have this horrible fear his life will spiral out of control, but I hope that doesn’t happen and that he can make it through and into the bright future that Rei has wished for him. Kiyama is looking up information on trials after Yoko’s visit when Rei comes in as well. She tells him how she was just thinking of herself happily getting on the register and not thinking of her mother’s pain. How can she take on the name of the man who caused her mother such pain even for only a little while? Kiyama assures her that things will be fine and will go through much more smoothly if they handle things this way versus going through a trial. Rei reveals that speaking with Kiyama always gives her a good feeling and peace of mind. She will really miss talking to him after everything is done. Kiyama assures her that he will always be there to talk if she needs him. Awwww. 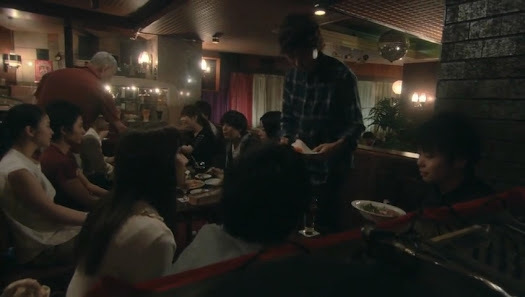 Rei also thanks him for the tiramisu idea and promises to bring him a sample when it’s ready. Oh. And we can’t forget Takaoka arrived to bring him a bento, but ran home angry after seeing him together with Rei talking and laughing. Yep, crazy woman. She’s like Nakaji’s crazy married girlfriend in Sunao ni Narenakute mixed with the clingy scheming ahjumma in Me Too, Flower. Rei makes her sample and is told it tastes good, but lacks originality. Meanwhile, Igawa’s tomato dessert is a big hit not only in taste, but in presentation. This makes Rei start thinking what she can do to make the tiramisu unique and make it pretty. She goes to a park to eat lunch where she runs into Ayukawa. He sits down with her on a bench and thanks her for the delicious apple pie. She asks if he lives in the area and he replies he just moved. For work? Something like that. He then reveals that he works in glass and shows off his apple charm. When Rei exclaims over the cuteness of it, he gives it to her. She asks if it is okay since it was very important to him. He tells her its fine as it’s a memento of a woman he loved a long time ago [she also loved apples]. Rei then gets inspired thanks to the charm and she thanks him and Ayukawa seems pleased that his charm helped Rei come up with an idea. Rei works on a new batch of tiramisu at Charlotte after its closed. This time she hads an homemade apple sauce to it. She brings it home to her mother and sister who taste it and exclaim over its deliciousness. Rei tells them there was a man who gave her this charm and it helped her think of this idea. Yoko seems a bit odd at the site of the charm, but I guess it’s not something she connects with Ayukawa as she didn’t get majorly wigged out. Rei then leaves to give some to Kiyama. He happily accepts and tells her that its good. Rei scolds him for being so pithy since he’s a former journalist. Kiyama then tells her that her creation is a feel-good dessert. He tells her the origin of the dessert’s name and its meaning. He also tells her that her dessert brings him that feel good emotion. This makes Rei happy. Kiyama’s coworkers return from break, surprised to find Rei there yet again. They think that she’s hawking her desserts and immediately turn down her offer of the samples. LOL. Of course they wouldn’t think she’s going there because she likes Kiyama’s company, probably because there is such an age gap. The next day Yoko goes to the police station to do the final bit of paperwork. She explains her story and shows them the pictures [remember this is to keep their address from Ayukawa once Rei is on his register]. After this is done, Yoko seems more at ease. She has finally faced her painful past and is doing her best to move beyond it. She goes to the ward office to turn in the paperwork to Kiyama and she sincerely thanks him for all of his advice to both her and her daughter. 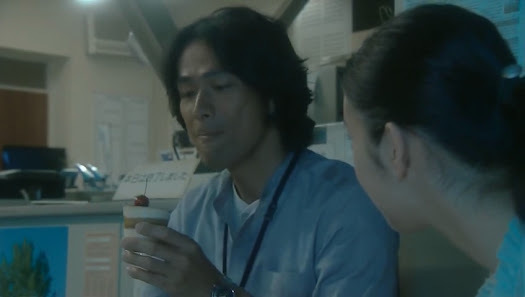 Meanwhile, at Charlotte, Rei’s new tiramisu is liked by Abekawa and she is given suggestions for improvement and told to finish the final recipe in 3 days time when Igawa’s new dessert will be put on the floor. Jun watches this with happiness. I like this guy. After work, Rei takes ingredients and utensils home to work on the final version of the tiramisu. She manages to fall over on her way home and runs into Ayukawa yet again. He helps her will all of her things. They get to the Tanizaki apartment and Rei waves him off saying she is fine. Just as he is about to leave, he hears things crash to the ground again. He sighs and goes back and helps Rei carry the lot up to the apartment. Yoko stops by a flower shop on her way home and buys her deceased husband’s favorite flowers. However, she gets quite the shock when she sees Ayukawa sitting in her kitchen. She immediately screams for Rei to run away and puts herself between Ayukawa and Rei. Ayukawa surprisingly drops to his knees and apologizes for everything he did. He knows that she probably cannot accept his apologies, but he is sincerely sorry and wishes to start over again. Yeesh. Rei then takes the charm and throws it at him, telling him to get out. Ayukawa leaves and actually looks genuinely hurt. Shocking. Mao comes in and Rei asks her to take care of their mother as she rushes out. Tanizaki calls Natsume to let him know that Ayukawa popped up [I think he was writing a letter to Yoko and was going to be leaving the city]. Natsume immediately rushes out in the direction of his daughter’s apartment. He sees Rei biking feverishly while crying, pauses and then continues rushing on. Rei arrives at the ward’s office and tells Kiyama to stop the process as she cannot be put on Ayukawa’s register after all. Rei has decided to go to court to fight it as she wishes to protect her mother now. And that’s where we end. What an intense final few minutes. 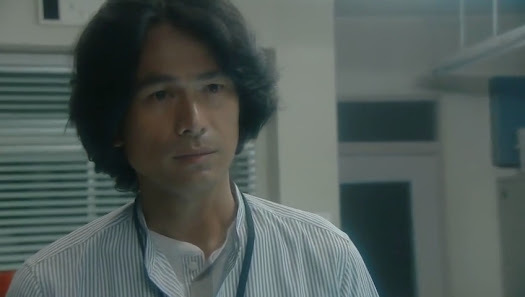 What Ayukawa did is unforgiveable, but I must admit to almost feeling bad for him in this episode. If the man has really changed, does he deserve a chance to get to know his daughter at all after what he did to her mother? I don’t know. It’s such a touchy subject. What is right and what is wrong is subjective and dependent on those involved. Outsiders can easily say you should do this or that, but they don’t really know how you feel and what has happened. Do you think if its revealed that Rei is Ayukawa’s biological daughter that she would be able to win a trial to keep her off the Ayukawa family register? I guess since I’m not Japanese I don’t really understand the whole name thing, cause I just would have gone through with it lol. Truthfully, I think postponing the process is just an excuse to continue seeing Kiyama lol. 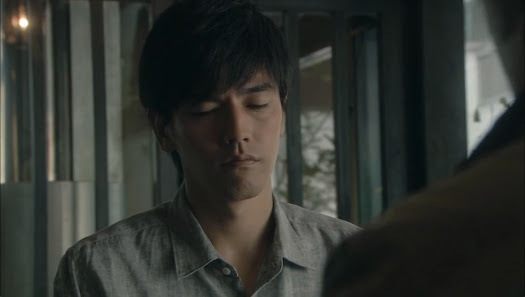 I couldn’t watch the scene with Ayukawa cause it was breaking my heart( maybe because I’m very forgiving, it pained me to see that). I am excited to see when he finds out officially that Rei is his daughter, and vice versa. Well, their culture may place more importance on names and family, but I kind of understand. Rei and Yoko don’t want Rei associated with Ayukawa’s name because of what he did to Yoko. Basically, I get where they are coming from. There are times when your family name can be a painful thing for you, especially if there was someone in your family who did something like what Ayukawa did. Thus, they are ashamed and unhappy that Rei would have to bear his name even if only for a brief time. Does that make sense? I did feel bad for Ayukawa in the last part. He did bring such a reaction upon himself, but I will root for him a bit if he has reformed and won’t go back to his violent ways. That said, it will take time before either Rei or Yoko would be able to truly let him into their lives again. I am really curious to see the scene where they finally come out and confess that Rei IS Ayukawa’s and not Tanizaki’s daughter. I’ve had this suspicion for awhile and all the pieces are falling into place to suggest she really isn’t her father’s daughter like she thought.